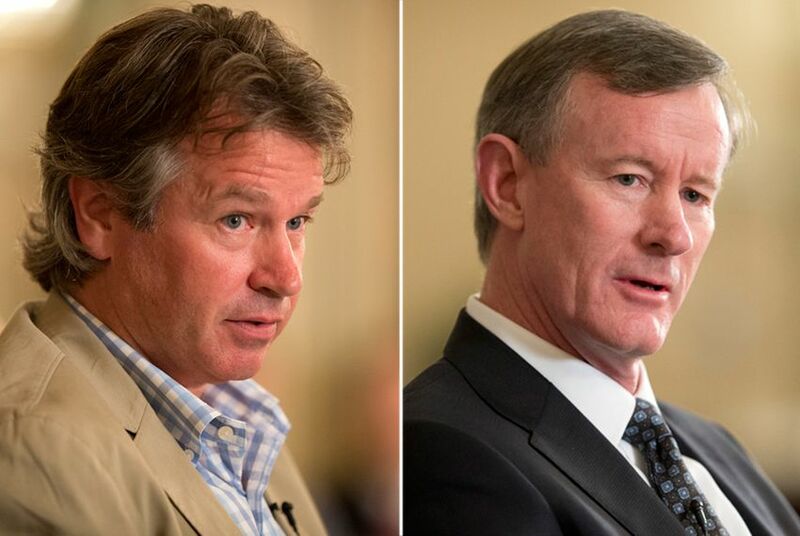 The Texas Supreme Court has agreed to hear oral arguments in the long-running legal fight between University of Texas System Regent Wallace Hall and Chancellor Bill McRaven. As the end of University of Texas System Regent Wallace Hall's controversial tenure nears, the Texas Supreme Court has agreed at the last minute to hear arguments in his lawsuit against the chancellor of the system he oversees. The state's high court said Friday that it will hear oral arguments on Jan. 11 over whether Chancellor Bill McRaven should be legally compelled to hand over confidential student records that Hall has sought for more than a year. But that will leave little time for Hall to get what he wants. His term as regent expires in February. After that, his claim to the records ends. At Hall's request, the Supreme Court is expediting the case. The records are related to student admissions. Hall says he wants to learn more about a scandal at UT-Austin involving students with powerful connections who were admitted into the flagship university even though they didn't appear to be qualified. An investigation commissioned by the system identified dozens of students who got in when they probably shouldn't have but didn't say anything about who helped them get in. McRaven has offered redacted versions, saying he needs to protect student information. The full UT System Board of Regents agreed and voted to deny the records, but Hall argues that the denial is illegal and warned in legal filings that it sets a dangerous precedent. Hall has argued in legal filings that he can't fulfill his oversight role without access to the information he requests. The oral arguments will bring a fitting end to Hall's tenure. He has been a controversial presence on the board for years. Critics have accused him of conducting a witch hunt against top UT-Austin leaders when he asked for hundreds of thousands of pages of records. Supporters say he has helped uncover troubling facts in university admissions and other areas. Disclosure: The University of Texas System and University of Texas at Austin have been financial supporters of The Texas Tribune. A complete list of Tribune donors and sponsors can be viewed here.